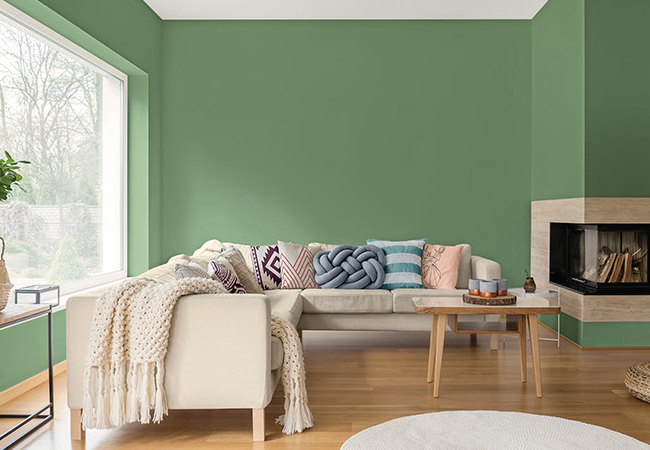 Dutch Boy’s “Garden Patch” (326-5DB) is a botanical green that offers a sense of rejeuvenation and comfort. It adds warmth wherever it’s applied, bringing the outdoors in for a wonderful melding of home and garden! Garden Patch was featured in Dutch Boy’s “Homestead” color palette, which aims to capture the feeling of simple living. Mixing soft natural hues with warm neutrals, this on-trend palette is perfect for breathing life into minimalist spaces. It grounds the space without feeling too heavy or serious. 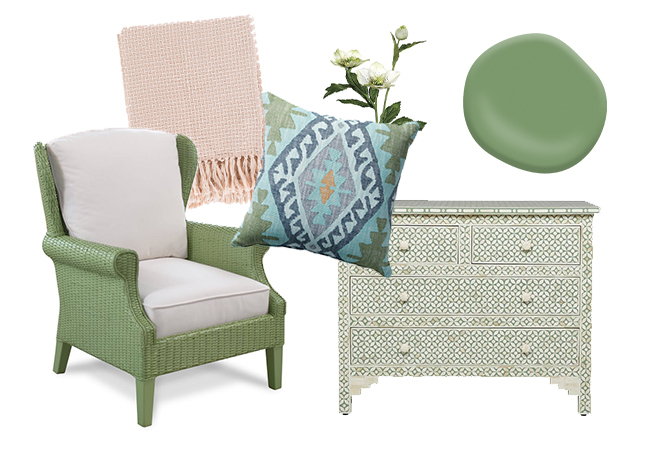 A muted palette leaves lots of room for pattern play. You can get a little bolder with textures, inlays and prints when the colors you’re working with are soft and cohesive. Because it’s so soothing, Garden Patch is a great choice for a sitting room, master bathroom or nursery. Its botantical kick makes it clever for kitchen cabinets; it’s also a fun choice for entryways, doors and accents on porches or decks that offer beautiful views of the outdoors.